FAR’s scholarship students don’t necessarily wait to finish college before they offer a return on their investment. Instead, they use every chance they can to help their fellow community members. 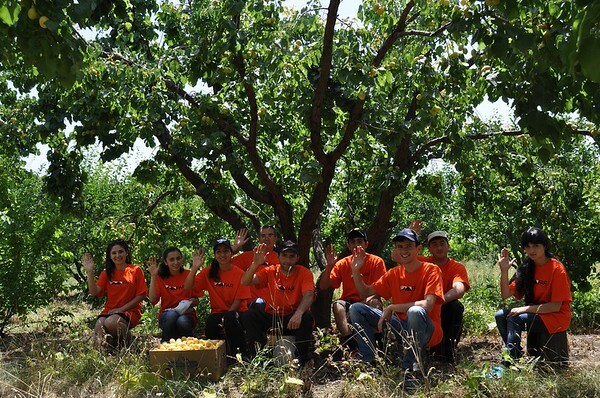 This year, for instance, a group of our Mathevosian, Jerair Nishanian, Gulamerian and Mardigian scholarship recipients joined the villagers of Yervandashat in the Armavir Region at the end of June for their apricot harvest. The crop yield was especially rich this year. 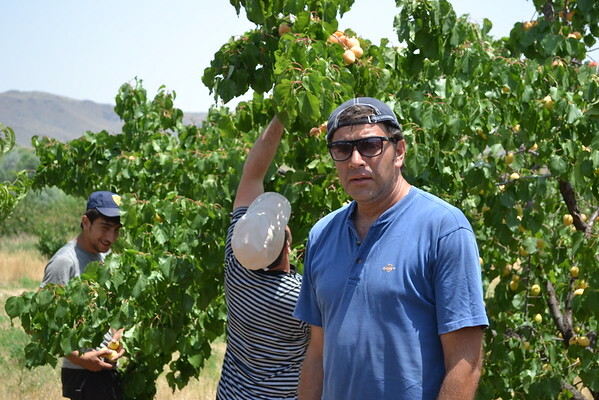 Arkadiy Khachikyan, president of the Yervandashat Agricultural Association Consumers Cooperative, hosted students who spent 14 days there and worked in fields belonging to seven of the cooperative’s farmers. “We are very grateful to FAR and its students for this support. Their help was a great incentive for us. We would have hardly been able to do all of this on our own. 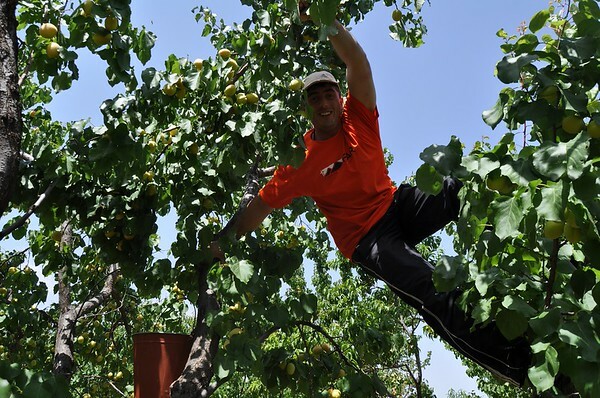 This year, the harvest was rich and we didn’t lose anything thanks to the help of the students,” Arkadiy said. Thanks to FAR Board Member Gregory Toufayan and his family who supported this year’s construction of a warehouse, sun driers, fumigation facilities, as well as the purchase of electric driers and packaging equipment, Yervandashat farmers managed to process all the harvest of apricots this summer, enabling them to be able to sell more. In return for the students’ work the cooperative will provide dried fruit to FAR soup kitchen beneficiaries, residents of Vanadzor Old Age Home and the orphanages that FAR works with. Students were very enthusiastic and excited about helping with the harvest. 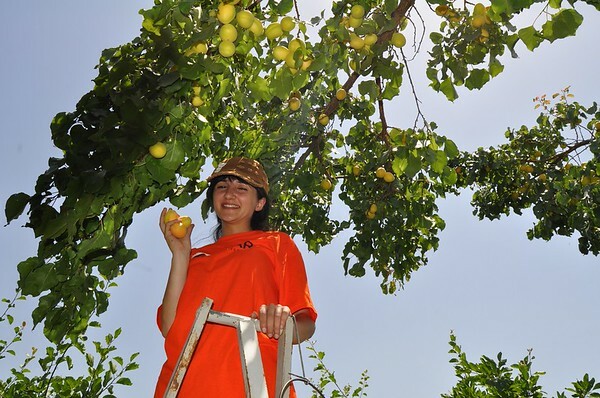 Nishanian Scholarship student Sophie Kirakosyan was proud of her participation. “It was a very happy and exciting experience despite all of the mosquitoes bites I got. I feel special since I was told that part of the dried apricots would be given to FAR program beneficiaries. It is a real joy to be part of it,” Sophie said. ArmeniaNow.com produced a photo story about students’ work experience, which you can view here.